Respond to changes to legislation. Comply with the recommendations for winter maintenance in the Code of Practice for Maintenance Management. Publish a Winter Maintenance Plan. 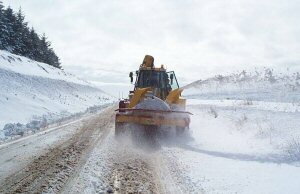 Annually review the Winter Maintenance Plan including stakeholder consultation. Carry out precautionary gritting on designated roads and footways in accordance with the Winter Maintenance Plan. Respond to calls from the public in accordance with the priorities set out in the Winter Maintenance Plan. Meet or exceed the Audit Commission recommendations on the percentage of the highway network to be treated. Implement its contingency measures through 24hr manning and contact with the public where emergency conditions apply. Work in partnership with other agencies to maximise communication and minimise risk to the public. Employ methods aimed at ensuring effectiveness and safety whilst minimising the environmental impact. Provide public information on the Winter Maintenance Plan, by displaying the precautionary gritting routes in Civic Centres, Libraries, Medical Centres and Schools, and publish on the internet. Annually review the use and provision of salt bins.